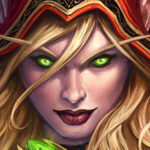 This Malygos Druid deck guide will teach you ins-and-outs of this popular deck from the Rastakhan’s Rumble expansion! Our guide will show you how to mulligan, pilot, and substitute cards for this archetype! 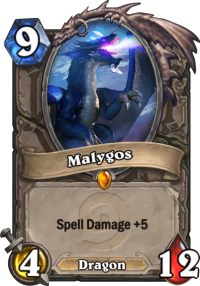 Malygos decks in general try to take advantage of his +5 Spell Damage to destroy their opponents in one explosive turn. Druid has been a popular class for the archetype historically due to their excellent ramp and draw tools, but also because of the 0-mana damaging spell Moonfire. All these strengths have been enhanced over time, but in the past year Druid has received something new: a vast bounty of survival tools (various armor-gain and Spreading Plague). With all the draw and armor-gain Druid now has (often on the same card) playing a slow combo style of deck in this class has never been easier. 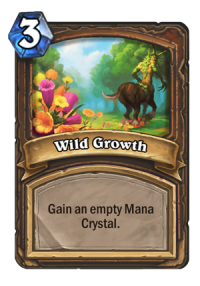 Malygos Druid also gained Twig of the World Tree last year, as well as Dreampetal Florist in the latest expansion, allowing it to play both copies of Swipe the turn Malygos comes into play. 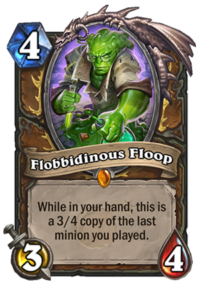 With The Boomsday Project Malygos Druid gets another versatile combo piece: Flobbidinous Floop (say that five times fast). Floop is always a 3/4 for 4-mana copy of the last minion you played, even if the last minion was the turn before. Malygos can now be played from hand with or without Twig of the World Tree. If the opponent removes it there is still a 3/4 Malygos in hand at a comfortable 4 mana, ready to Swipe/double Moonfire for 21 damage. Floop comes at a price though, costing 4 mana means players can’t efficiently include Oaken Summons in the deck. If you are looking for Rastakhan’s Rumble cards, you aren’t going to find any! 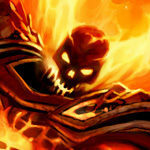 Malygos Druid stays strong without any real alterations from the previous list. Check out alternative versions of this deck on our Malygos Druid archetype page! In a perfect world, this deck survives until it can attack four times with Twig of the World Tree, then attacks the fifth time after playing Malygos. This gives the player ten extra mana to work with, which ideally would be used to play either Flobbidinous Floop, one Swipe and both Moonfires for 36 damage, or both Swipes and Moonfires for 30 damage. Players don’t like to give you a 20 mana turn so weapon removal is currently all over the place. Because of that, Malygos Druid players have started running Dreampetal Florist. If you hit Malygos, you can also do the full Maly + 2x Swipe + 2x Moonfire combo, most likely OTKing your opponent. And in case neither Twig, nor Florist work (e.g. Twig was destroyed and you didn’t draw Florist), you can combo the opponent down with Floop alone. You want to play Malygos one turn, most likely letting it die, and then drop Floop, one Swipe and both Moonfires next turn for not as high, but still impressive 21 damage. Against aggro Malygos Druid just tries to get to the later stages of the game when the aggro deck starts to run out of steam. In these games the Malygos combo rarely ends up mattering, and combo pieces can be used as removal with fewer consiquences. Similarly, on a turn you could play Ultimate Infestation you don’t have to be as concerned about overdrawing something important. If you really need to remove something and have no other way to do it it’s probably the right thing to do. It doesn’t mean that your Twig or Florist are useless, of course. Getting a T4 Twig can often win you the game, not because you will get your Maly combo up, but because it will give you 10 free mana to work with. You can do your regular turn, then make the last hit, and have 10 mana to work with again – the latter can often be used on Ultimate Infestation and such. For example, Alexstrasza yourself into last Twig hit into UI is often an amazing way to come back into the game – you end up with 20 health total, a big board and LOTS of resources to seal the game in the upcoming turns. Similarly, Florist can still be a nice play with a big minion in hand. Sometimes discounting Malygos and then playing it next turn with Swipe is the way to go, but making Alexstrasza cheaper can also be very good. Branching Paths is a very important card in aggro matchups, and not just because of the armor. The wider your opponent’s board the more value you get with Spreading Plague, and Branching Paths turns all those 1/5 scarabs into Sen'jin Shieldmastas. This can either clear your opponent’s board or present lethal damage, so consider your options when playing this card earlier on. is also there for the faster matchups. Since your early game is usually very slow, your opponent will have enough time to build the board – and snatching a minion from them is a great way to swing everything. Of course, the card is RNG, but even the worst case scenario of MCT makes it a good card most of the time – you’re getting an extra small minion on top of the 3/3 body, while your opponent loses it. 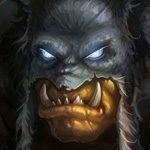 The Malygos combo is much more powerful in control matchups, so try as best you can to hold onto your damaging spells. You will often be tempted to waste a Moonfire to avoid overdrawing after an Ultimate Infestation, but if you’re in a matchup where you’ll need a full combo, you might even want to risk it. It heavily depends on the hand, of course – if your Malygos and Floop, as well as two Swipes are still in the deck, it might not be worth it to take the risk, but if your deck is mostly cards you won’t absolutely need, then it might be a better thing to do. You can play Alexstrasza the turn you break Twig of the World Tree and then Malygos double Moonfire after, but in general it’s better to Alex the turn before and then Malygos/Floop/Swipe on the Twig turn. Against other combo decks like Shudderwock Shaman or the mirror, Naturalize is a great tool to ruin the opposing game-plan. Against Shudderwock Shaman it can be helpful to leave their Mana Tide Totem out to make them more susceptible to this. In the mirror, save it for after they’ve played Ultimate Infestation – when they hand is nearly full (9 cards after UI is common), dropping 2x Naturalize can often be a way to win the match by burning their win condition. Hold onto your Branching Paths if you can, this card can be an over-costed Savage Roar and that will win more games than you think. This isn’t to say you shouldn’t use them to draw if you have no better option but don’t toss them away for armor without a good reason. Considering your opponent will be removing your weapon most games Branching Paths is a good way to make up some of that damage. Ramp is your best friend no matter what the matchup, so Wild Growth should be kept every time. Same goes for Nourish and Twig of the World Tree – while those two are more effective in slow matchups, you still want to keep them vs Aggro. Lesser Jasper Spellstone is another really good card to have early if you can upgrade it. A single upgrade clears most early threats like Vicious Fledgling and Hench-Clan Thug. Swipe is good to keep against some decks – mainly Odd Paladin, but also Odd Rogue. Having a way to deal with their snowbally 3-drops is important. Spreading Plague is a strong keep against board flood Aggro decks, as the wall of Taunts it provides can buy a lot of time. Malfurion the Pestilent can be good to keep if you have some ramp, but keeping a 7-mana card can be detrimental if you don’t have anything to do before your seventh turn. Mulligan heavily for Wild Growth and Nourish. There is so much draw in the deck that ramp is all that really matters early. If you have a Nourish and Wild Growth already, keeping Arcane Tyrant can be good to establish some early tempo. Keeping Twig of the World Tree is also correct even though you might not play it on curve. The sooner you have it the less likely your opponent is to have drawn their ooze (but you can assume they have one in their deck somewhere) before you can attack with it enough times. If you have a heavy ramp hand, e.g. with Wild Growth and Nourish or even 2x Nourish, keeping Ultimate Infestation should be a great option. Waiting until T10 to play it is too slow, but if you know that you will be able to drop it on T6-T7, then it’s great. Innervate would have been a staple in this deck back when it provided two mana, but the current one mana version still has its uses. It can help you curve out a little easier, but it also provides another card to toss after you would Ultimate Infestation to 10 cards in hand (and allows yous you to play Lesser Jasper Spellstone or Naturalize in the same turn). Biology Project ended up not being the game-breaking monster a lot of people thought it would be, turns out giving your opponent two mana is too much of a drawback too much of the time. Still, it can be handy if you’re willing to be extra smart about when you play it. 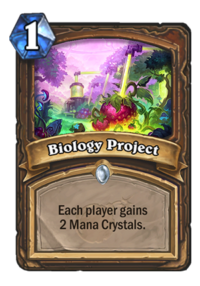 If you want to try a version that includes Biology Project, play it when it would act as an Innervate or when it allows you to play something big the turn following, and not when it would allow your opponent to play something you don’t have an answer for. If you run into other Twig of the World Tree decks or decks with Skull of the Man'ari a lot then weapon removal can be a big advantage, especially now that decks like these have cut Oaken Summons. Gluttonous Ooze gives a little armor which can be handy in aggro matchups, but Acidic Swamp Ooze costs less and is thus easier to fit into your curve. Harrison Jones might be overkill, this deck has a lot of draw already and struggles to empty its hand when it needs to. Oaken Summons is a very powerful card and depending on how aggressive the meta is then it may be worth it to put the package back in. In this case Floop would likely have to go, but there’s been so many “highroll” decks this past year I wouldn’t be surprised if people played both and hoped for the best (although that sounds bad to me). Prince Taldaram and Faceless Manipulator are decent options to add extra damage potential to your combo turn. Taldaram probably not as much because you would have to cut Ferocious Howl, but in general they’re not often necessary. Most scenarios where you can pull off your Malygos combo you’ll be doing more damage than you need anyway. 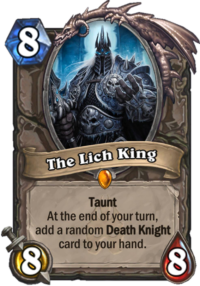 This deck has a more reliable Malygos combo, so many players have cut The Lich King from the list. 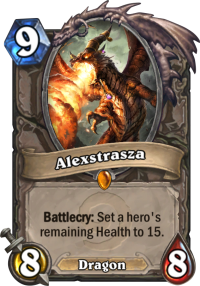 He can still be worth including for the alternate win condition or just if you’re missing Alexstrasza. Juicy Psychmelon has possibilities if you also add The Lich King. Four mana to go grab Malygos and something that can reduce his cost by 7, as well as a massive 8-drop Taunt could be strong. That sounds super gimmicky and half the time you’ll draw Alexstrasza instead of Malygos (not to mention that it might be a dead card once you draw your big minions already). If the meta is aggressive enough Wrath might find it’s way back into the deck. Two for deal three is pretty good against early aggro minions, and at worst the card is a 2-mana cycle. Martian's favorite hobby has always been card games. He's been playing Hearthstone regularly since early 2014, and is a consistent Legend player in both Wild and Standard. Check out Martian on Twitter! Is this deck worth playing if you don’t have Twig? What about Twig and Floop? I may craft one of them, probably Floop because he will last another year in Standard. Is Floop a worthy craft? Thanks in advance. This is the first netdeck i´ve deemed fun enough to build. And oh boy is it fun, decision making from start to end. I have made an alteration to fit the perceived meta: 1 keeper of the grove over 1 mind control tech for those lovely blood knights and magnetic aggro decks. I am also considering cutting a giggler for the second ferocious howl to empower the jasper stones. Its a bad matchup. If you can full combo with twig it’s winnable but it’s hard. You could try the version that also runs Togwaggle/Aviana and beat ’em that way. I don’t have twig. Any good replacements? Lich King if you have it, Ferocious Howl if not. i made a deck similar to this with quest as well, have you tried this? Not recently, the only quest druid Ive played was the charged devilsaur/cube/deathwing one. Hows yours working out? I understand the idea behind this version of the deck but it seems a bit cluncky. Because nowadays everbody runs weapon removals and it is nearly impossible to pull out the 20 mana combo. Personally, i like the juicy psychmelon and dreampedal florist combo. Especially with floop. Because you play your dreampedal florist it hits your malygos then you play your flooped florist and hope it hits your manipulator and then you could pull a 50 dmg combo off without using twig(double swipe, double moonfire) which is probably the only way to beat control warrior or heavy armor gaining druid decks. Twig doesn’t work in this meta.